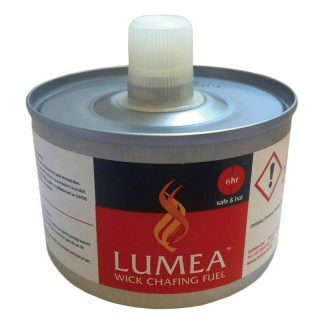 Home / Chafing Fuel / Chafing Fuel Gel (x72) – From 30p per can! 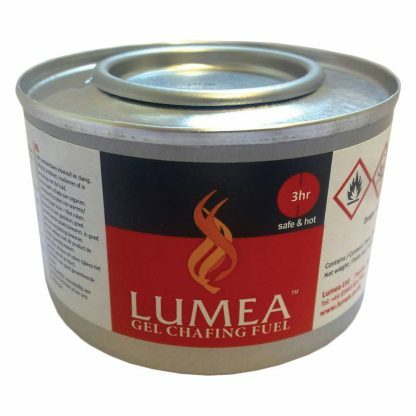 Up to 3-hour gel chafing fuel – case of 72. 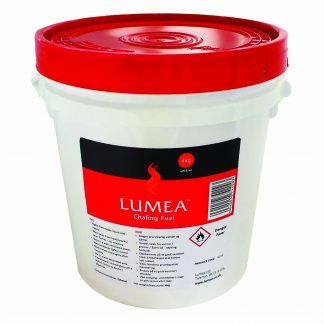 Lumea’s chafing fuel gel has a burn time of up to 3 hours and is your cost-efficient, clean burning, quieter & safer than most other portable heat sources for your food & beverage heating needs. Can dimensions: 5.4cm (h) x 8.5cm (d).